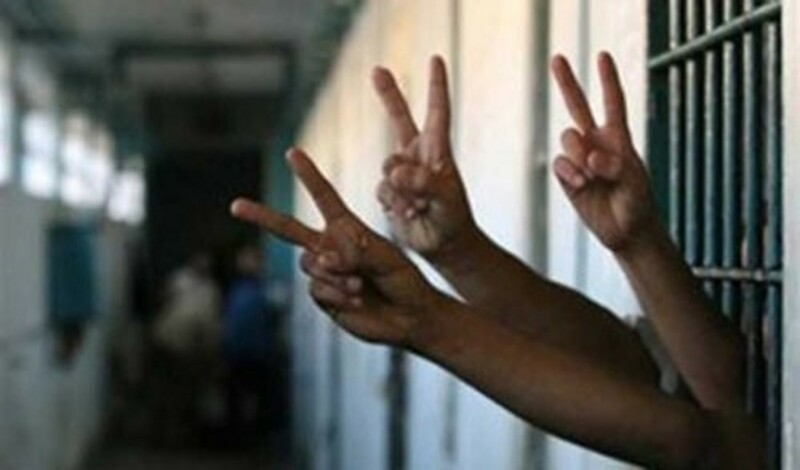 Addameer - Ramallah: Eight days into the hunger strike announced by the Palestinian political prisoners in the occupation prisons, an agreement was reached, on Monday, April 15, 2019, between the occupation prisons administration and the prisoners’ representatives. The agreement came after a series of intensive dialogue sessions. It includes stopping the operation of newly installed cell-jammers in the prisons, as well as not installing new ones. The agreement also includes the installation of four public telephones in each prison, giving priority to sections of female and ill prisoners. According to the agreement, each prisoner will have access to three calls per week, each call lasting between 15 and 20 minutes. It should be noted that the installation of public telephones in prisons has been a demand of prisoners for more than twenty years. The agreement also included the transfer of female prisoners from the Damoun prison, to another prison with humane conditions. Palestinian female prisoners have been detained in the Damoun prison since October of last year. The prison lacks the minimum conditions of human life and is known for its old and wasted infrastructure. In addition, the agreement provided for the return of all prisoners who were transferred, during the recent repression raids, to their previous sections. It was also agreed to end the isolation of prisoners who were recently put in solitary confinement and to provide immediate medical treatment to sick and injured prisoners. Thus, the prisoners' hunger strike comes to an end, achieving important demands for the prisoners’ struggle and, putting an end to the latest wave of escalation against the prisoners. An escalation which began with the recommendations of the Erdan committee, seven months ago. Addameer affirms the importance of the agreement reached between the Palestinian prisoners and the occupation prisons’ administration. Addameer also stresses that the prisoners’ struggle for their rights continues, until ending all violations by the occupation against them. Equally, Addameer calls upon the international community to pressure the occupying state through effective steps, to stop violations against Palestinian prisoners and to safeguard their rights, as protected persons under international law.